Trent Alexander-Arnold has faced some incredible players already in his career with the Reds, but there was one that stood out above the rest. Not Neymar, not Kylian Mbappe, and not Cristiano Ronaldo – but Wilfried Zaha. He told The Times: “On the day, I’d say Zaha was the hardest. Just his athleticism. You can’t get the ball off him; hard to tackle, fast, skilful, can score goals, set them up, a match-winner. 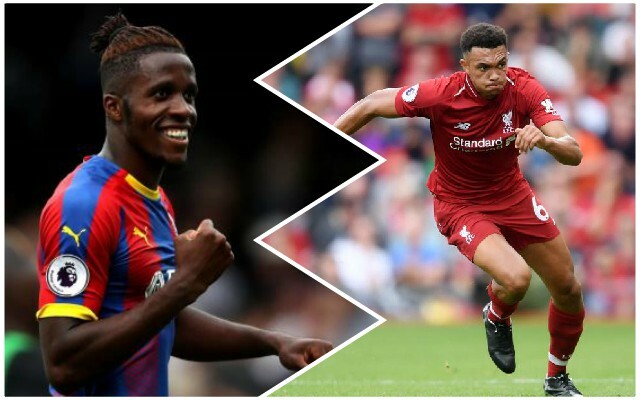 Trent is likely to come back into the lineup for today’s match with Huddersfield where he is unlikely to face anyone close to Zaha’s level. It’s fair to say a few wingers would name Trent as their hardest opponent if they were asked the same question – that would be no surprise at all.